For those of you who have been patiently awaiting your pre-ordered price guides, we finally have amazing news for you! The book is at the printer and will thus be ready to ship by April 20! Once we receive the books, we’ll immediately begin shipping them. We will start with those who ordered the book first, but everyone will get their copy ASAP. We cannot thank you enough for your continued support through this process. You’ll be happy to know that the delay was caused by the addition of more than 100 pages. We definitely think it will be worth the wait, and we hope you will think so too. With 228 pages of details and 3300 color photos, this will surely be the most complete guide of Hot Wheels models released from 2008-2017. 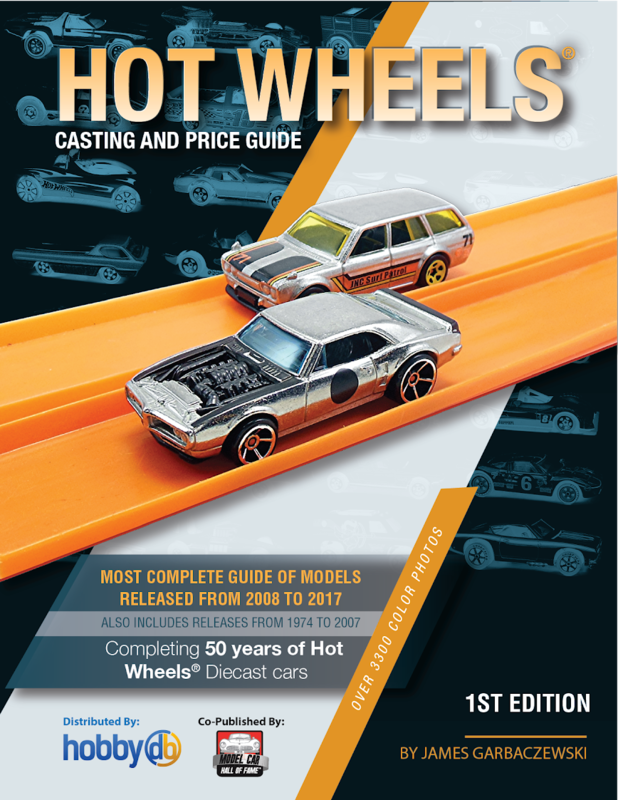 The Hot Wheels Casting and Price Guide will now retail at $49.95. If you haven’t gotten your own copy yet, you can do so here.